NOTE: Based on staying in a room at the Villa. 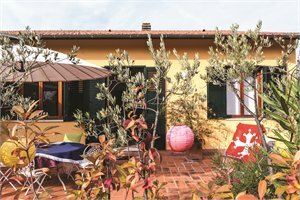 Located in the heart of the Hamlet in Vicopisano, Tuscany, Giorgi’s House is a lovely private rustic medieval apartment with one bedroom, living and dining area and a large fire place. 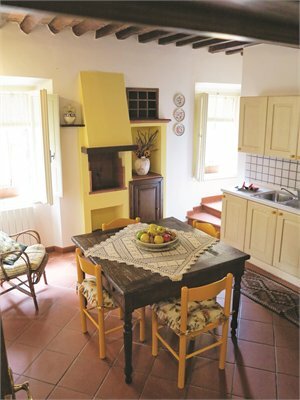 The house is set in a quiet location only a short walk to a coffee shop, pub, pizza places and the main square. PACKAGE TERMS & CONDITIONS: It is our policy to present the cost of our holidays inclusive of all airport and government charges. Please accept however that these charges are not within our control, therefore we reserve the right to pass on any increase.. Travel agent professional service fees where charged, will be additional to the advertised prices. Closeout and blackout periods apply over school holidays and peak holiday periods & availability of seats & rooms is likely to be very limited over this time . Valid for sales to 31 Oct 2019. Valid for travel commenced and completed within the period 23 Apr 2019 to 15 Nov 2019 (unless otherwise specified).Land only, airfares additional. Local city taxes may be applicable which will be payable by client direct to hotel. Minimum 6 passengers for the tour to operate. Package cancellation fees apply. Please note there is limited availability on the advertised room types. Twin bedding must be requested if required. All pricing is subject to change until a reservation is confirmed. A non-refundable deposit may be required at the time of booking, please enquire. Valid for new bookings only. Offer is subject to availability and blackout dates may apply. Please enquire for an up to date price at the time of booking. Prices shown are based on per person costs in New Zealand Dollars, for payment by cash, cheque or eftpos only. Credit card sales not permitted unless Travel Agent acts as a merchant. Capacity limitations apply and may not be available on all services. Events beyond our control such as currency fluctuations and changes to the price of aviation fuel may result in prices variations . Strict cancellation fees apply. Packages are based on consecutive nights. For split stays please contact your travel consultant. For full terms and conditions and cancellation fees please contact your local travel agent for more information. Trade enquiries via GO Holidays.